The following was shared with me with much trepidation and concern over its reaction. Ironically, I’ve heard these same words from others in recent months, and it struck me that they were not isolated or merely dissident voices in the wilderness — rather that they were a real malaise that is overtaking the once previously engaged. Disenchantment, disenfranchisement, disappointment, no matter what bucket you quantify it into, I am hearing about these feelings more and more. Always looking for the silver lining, this would be a good jump off point to explore the sentiment as we proceed to get at its roots. Do you share this same feeling? I think the reason for this is because I suffered from a false perception of what Freemasonry was all about. As I entered the fraternity, I was under the impression that a True Mason was a man of character, integrity, honor, who possessed an intellectual curiosity about life, a person whose word is his bond. In other words, I perceived Masons as the bedrock of society. Unfortunately, this is not what I discovered. I have traveled around quite a bit and met many Masons, most of whom are not of this stereotype. In fact, I would estimate less than 1% of our total membership can be characterized in this manner. And therein is where the bubble burst for me. With the exception of those Brothers attempting to establish Traditional Observance (TO) Lodges, I have learned the vast majority of Masons are not serious people. They are more concerned with slapping backs as opposed to doing anything of substance. A lot of Masons will scratch and claw just to get their next apron or title. I tend to believe this is because they never did anything noteworthy in their professional careers and crave attention. In other words, they are trying to build their self-esteem at the cost of their Lodge, a sort of “While Nero fiddled Rome burned” phenomenon. I guess this is why I find it amusing to hear conspiracy theorists try to warn the public of how Freemasonry is trying to dominate the world. Too funny. The fraternity is dying and nobody is doing anything about it, least of all at the Grand Lodge level. Freemasonry is an institution who stubbornly clings to the past and resists any attempts to change and modernize. It’s decaying before our eyes. Stay and passively accept the status quo — representing total surrender. Stay and continue to try and change the system internally — impossible due to the political stranglehold Grand Lodges hold over the fraternity. Take a leave of absence — whereby the problems will still be waiting for you when you return. Resign and start a new strain of Freemasonry — which is very tempting but difficult to do on a large scale. Resign, lick your wounds and move along with your life. This last option, unfortunately, is what many men opt to do as opposed to fighting the powers that be. 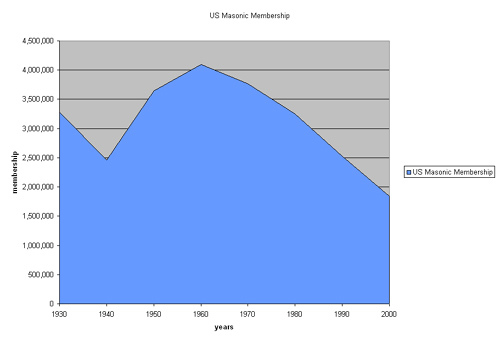 Consider for example our free-falling decline in membership. Aside from death and transfers, think about those members suspended for nonpayment of dues which in some grand jurisdictions is on the rise. One cannot help but ask why this is occurring. Because of the economy? Perhaps. More likely they are not getting anything meaningful out of Freemasonry. Even when Grand Masters offer amnesty programs to encourage members to return to the flock, very few do. Those men who would normally take an active role in Masonry are being driven away in droves due to complacency, apathy, and politics, three ugly words that unfortunately characterize Freemasonry today and causes disillusionment. Freemasonry has become more of a philanthropy than a fraternity, a political playhouse as opposed to a true brotherhood. It is sad to see a once noble institution crumble before our eyes into an irrelevant institution. It matters not what obligation or oath a man swears when that man has no honor. I have been lied to and cheated by lodge brothers at various levels. My own fault for believing all Master Masons are honorable men. What if you realized that it was your (!) Blue Lodge that is a bulwark against mediocrity? What kind of men would you want to join not only your Blue Lodge but OUR Craft? Why lose yourself in a maze of additional bodies and Allied Masonic Degrees (and divert your time and resources) when you can in fact enjoy all their noble tasks, research and fraternal communion within your Blue Lodge? Their rituals and instructions being a late addition to the Craft can be of historical interest – and worthwhile and rewarding too even if read. Nobody keeps you from pursuing their individual intentions and undertakings without necessarily having to form a separate authoritarian structure. Special interest groups can make sense for the historically interested, artistically gifted, esoterically inclined Brethren among us. A special interest group is a community within a larger organization (not outside of it or on top of it). As Blue Lodge MM we are still on the level without giving any allusion of setting us apart. How would your lodge transform, if you encouraged (building) trust in mankind, humanity, society (something greater than us)? That (of which you and I are an integral part) can’t be trusted you say? There is (our) work to be done. And it all begins with the men you accept. Who accepts them? You. I do agree on most points.I choose to fight the fight to reinvigorate our Fraternity. Remember not to look at man. We all fall short. Stay true to our tenets. Be a positive light without and within the fraternity. Only this will bring change. 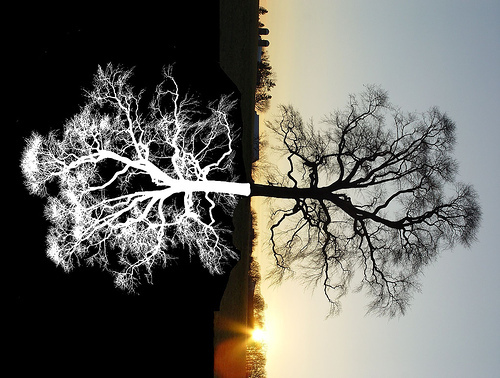 We can’t change the past but we can affect the future. Time is now and now is forever. You are making a difference. Time and patience. Some of our efforts may not be seen in our lifetime but the brothers behind us will benefit. I choose to believe that Masons generally are a cut above. I’m active in Scottish Rite, and find those who are active there are truly good men. The decline in membership is not just in our beloved order – it is rampant in Rotary, American Legion, Kiwanis, Elks, in short, everywhere. I blame gated communities and shopping malls which isolate people from a sense of community and togetherness. We’ve lose the ability to interact and appreciate our fellow man. The community atmosphere where I grew up (and still live) is gone. The shopkeepers I knew by name have been replaced with big box stores and internet sales. and nor the time. Singles often join but later disappear. They may reappear later in life when settled.But let me state that I / we we now have a decent reliable crowd of friends most of whom [ males] are or were active masons and for that we are grateful. In the meantime I shall continue with my FM, contributing to my family and society, enjoying fraternal repartee. As a final statement I do think that the Scottish system outweighs the English especially Royal Arch. I also feel that the AASR can be improved upon in the USA to leave a much more beneficial understanding of FM and that degrees should be given on merit. ie not for cash! I think this article is spot on. I see people playing petty political games to get to the East. As soon as they grab any chair with power, they will use it to put down the people they dislike. It is sad to witness. And very disappointing. Invitational only organizations brag about how they strip down the Blue Lodge out of knowledge that now only they have. Then they run religion profiling for their membership and hold political agendas, even at Grand Lodge levels. Each year I ask myself: “What am I paying for?” and each year is more difficult to find an answer. We can do better. Fortunately and unfortunately Masonry is made up of men. Man at his core is a political beast. Yes, there are the narcissistic men who tell great jokes, love to spend other peoples money, and provide well lubricated events, but only as long as the recipients feed their ego. Masonry is better than this. We are better than this. Breaking the culture of rampant philanthropy and bringing back the fraternal bonds is every Mason’s responsibility. We are not a discount dinner club. We are not a discount event club. We must put the needs of our brethren, who through no direct decision or act of negligence, indifference or carelessness has fallen on hard times, first. You can be part of the solution, as long as you’re not concerned with who gets the credit. When any award is handed out, you then observe, was the award earned or simply “because they deserve it”? That will tell you much about those who are issuing the award. Be a light to the craft, but always be a worker in the quarry. While I agree with the problems, I disagree with the solutions. All organizations go through phases of existence. Those that are active in the Lodge now are feeling the effects of the past. Masonry went through a phase of numbers – where “more” men was considered good, and not good men being considered “more.” We were lacking in our principles while we were stationed at the West Gate. All those gaudy numbers didn’t give us a large amount of Masons, only a large amount of dues payers. Politics in Lodge has existed since the first Grand Lodge, and cannot be avoided – the “good old boy” network is an unintended side effect of brotherhood. That being said, a much more scrutinized candidate who is required to use patience to reach the level of Master will have more of himself invested in the Order, and therefore will be more active towards the good of the Lodge. Your options, well, every one is surrender, and that just won’t cut it. It will take determination and sticking to your guns to make your Lodge change. I’ve put the last five years into changing the direction my Lodge is going, and I’ve become a “thorn in the side” of the old Secretary and Past Masters. I suggest you follow this example and actually show the newer and younger members that this can change if we keep persisting. Because with the proper use of our efforts, “time, patience and perseverance” achive all things. Sadly, this is the truth about the Modern Craft in today’s time. It seems that everyone is just out for themselves. At the same time, they keep paying lip service to the concepts of “brotherly love”, “loyalty” and “truth”. The truth is being told in the article, and I’ve encountered most of them. The lies, the half measures, the popularity contests, the favoritism and laziness of many members. But I continue in Freemasonry because there’s been a many good experiences to counter the bad ones. Afterall, the Craft is made up of people, and people are mostly screw ups. The solution is to screen well the kind of men you accept into your lodge.